I am seeing grandma's living room: brown carpet, fake wood panelling, wagon wheels and velvet wall hangings! Took out the gram and made it glam! Tomorrow I will continue with my tips (2 more to go) for creating a beautiful home even if you rent! LOVE IT...the color, the shade, and the proportions. No one would ever know what lies beneath. Did you have any trouble getting the paint to stick? I used a spray paint that was for any surface. I had no problem - if you are ever in doubt you can buy a spray primer. I have even spraypainted plastic plant pots! Love what spray paint can do! OH LA LA!! This turned out great! I too love spraying anything and everything. I love how you chose to go all white on white, it just pops on the dark table! A M A Z I N G !!!! Who would have guessed that, had a hip side hiding somewhere. You have inspired me, thank you. 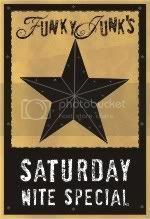 OOOOOO...love this too! I have one of these I too need to dig up and use. Thanks for the idea. That lamp has pazzaaz now! Love the all white look. kudos for seeing the potential in that little guy! how much was it at the thrift store?? i love how it turned out! it was $9 at the thrift store because it came with a shade - the shade was hideous but they wouldn't budge on the price. Love it! Great eye at seeing past the obvious. Thanks for joining the Power of Paint Party! this is frickin' gorgeous! I was out tonight looking for lamps and saw this exact same style for $69.99 and that was at a reasonably priced store. I'm hitting up the goodwill! Thanks for sharing. Wow, wow, wow!!! It's fabulicious!!! Wow! That is amazing. Great find! I just love how that turned out! The shape looks very modern, now, and the shade id the icing on the cake. You had great vision to see what that ugly lamp could become. I love it. And I like the inspiration board behind it also..you could add some fun black pompom fringe to it also..but wow isn't paint amazing? Love it! Nice of you to bring it into the current century! : ) It is really the style now, too. Wow..... I'm not sure I could have pictured that! Great job!!!!! Beautiful! Looks like something out of West Elm or PB now! Great job! paint! amazing what it can do. Great job! Oh this IS Fabulous! What a fun and easy transformation! Thanks for linkin' up to Frugalicious Friday! Love the funky chunky shape of the lamp...so cute and sleek. Love it, great job! Wow, your lamp looks so mod and fabulous!! Ack...this lamp redo is Fabulous! 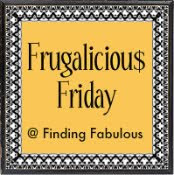 So much so, that I featured you on my Frugalicious Friday Recap! Thanks for sharing, it's stunning! Barbara... took a copy of this photo and gave it a wee showcase in the sidebar of our blog... hope you don't mind! I think it looks FAB!! WOwza. I'm doing my basement right now and that would be PERFECT in my guest room...time to hit the thrift store! Awesome looking makeover...I need to check out Wal-Mart's lampshades! Hop over and enter my GIVEAWAY…I think you will like it! HOLY COW i have that same friggin lamp! as soon as it thaws i'm running to get some more rustoleum and do the same thing. cant wait thanks! !